The GAME Events team, previously known as Multiplay, smashed expectations with another successful Insomnia show featuring record-breaking feats with games such as Fortnite and Mario Kart. Insomnia63, which was held at the NEC in Birmingham, is the largest family gaming event in the UK, bringing together people of all ages and genres. Over the four-day event from 24th – 27th August a staggering 14 records were achieved at the Guinness World Records GWR Live! stand, establishing six brand new record-holders (two individuals and two pairs) across Fortnite, Mario Kart, Rocket League and TrackmaniaTurbo. Hot off the heels of the teams Insomnia success is the upcoming BrickLive event – http://bricklive.co.uk . The UK’s largest LEGO® exhibition is back at the NEC, Birmingham on 1st – 4th November 2018. With a wealth of new features including new for 2018, the Mythical Beasts section which houses over 50 models and interactive experiences from mythology to life, making it an unmissable experience for LEGO® fans of all ages. The British Esports Association has announced details of its first full competitive gaming Championships for schools, colleges and alternative provision schools. The not-for-profit organisation has entered into a partnership with streaming programme Twitch Student to grow the British Esports Championships and help give students support and opportunities. In addition, a new partnership has been formed with AoC Sport (part of the Association of Colleges) and the British Esports Association to provide management and oversight of the competition via the College Esportscommittee. This new committee will ensure that esports is properly managed in colleges and is positioned as part of a balanced lifestyle alongside education and physical activity. The British Esports Championships is for students aged 12-19, with each school or college allowed to enter teams for three different games. The first confirmed game is 5v5 League of Legends. The Championships will begin on October 10th and run for two seasons, the first consisting of eight weeks of fixtures with breaks for half term and the second running in the New Year. The first six weeks will feature a Swiss tournament format, with Playoffs taking place during the remaining weeks. Matches will take place for 90 minutes onafternoonsafter school or college, avoiding conflict with Wednesday afternoon sport or classes. Depending on the number of sign ups, schools and colleges will be split into their respective regions. The top two from each region will get promoted to a Super League for Season 2. The live finals are set to take place at the Insomnia gaming festival in Easter 2019 at the Birmingham NEC. Team sign-ups will open in the first week of September and will close on September 26th. Visit the dedicated Championships information coming soon on www.britishesports.org to sign up or read more information. In terms of partnerships, the British Esports Association will adopt the Twitch Student Program, which helps schools and colleges learn how to stream so that friends, parents and others can watch their matches and other gaming activities live online. It has already been working with a number colleges in the US, universities in the UK and now it’s embracing the UK schools and colleges space. Twitch Student gives users access to ‘swag’ and privileges as they level up, such as special streaming features, subscription buttons and the chance to earn revenues, Twitch homepage promotions and more. It also helps students pitch their gaming ideas or community projects to teachers and schools. Mark “Garvey” Candella, Twitch Director of Strategic Partnerships, commented: “The British Esports Association and Twitch Student program share a belief in the ability of students to grasp the entrepreneurial spirit inherent in gaming and esports, while applying their education in new and innovative ways. In addition to the support of Twitch, the new College Esports committee will be working with the British Esports Association to promote the Championships to colleges throughout the UK. AoC Sport says it’s been encouraged by the work of the British Esports Association in drawing parallels between physical sports and esports, engaging with education as well as developing skills in communication, problem solving, teamwork and more. The announcement follows a successful pilot which took place in schools and colleges from January to April and saw Solihull School and Sunderland College win the respective Championships. The pilot allowed the British Esports Association to create a safe online environment for students aged 12-19 to play age-appropriate esports. It fostered talent, championed positive role models, promoted leadership, communication, creativity and teamwork skills and its work is supported by multiple government departments. The pilot brought pupils together, improved relations with teachers, developed employability skills, helped schools raise awareness of their activities and secure funding. It also drew national attention including coverage from the BBC, Sky, Daily Mail and more. The news also comes after British Esports appointed Natacha Jones as Student Esports Coordinator to develop the British Esports Championships. Since January, Natacha has held the role of Twitch Student Program Manager at the National University Esports League, tracking the success of a pilot scheme for UK universities. She will be working closely with schools and colleges as part of the British Esports Championships and helping them integrate with the Twitch Student Program. Global Top Round’s 2018 accelerator program is now accepting applications from independent video game studios around the world, with successful parties potentially receiving up to $300,000 USD of funding. Now in its fourth consecutive year, GTR is an interactive accelerator program dedicated to supporting small studios, comprised of around one to ten staff members, from all over the world with the development, publishing, and fundraising expertise they need to take their games global and make their businesses sustainable. The application period for the 2018 program is open from July 1 until August 19, with submissions to be made via the Global Top Round website. All submitting studios must have a playable game/demo build developed, with intentions to launch by mid-2019, and relevant assets prepared. Games that are already fully launched are not eligible. A total of 20 games, from 20 studios, will be selected from the applicants and invited to attend the GTR 2018 Conference in Kuala Lumpur, Malaysia, on October 27-28 (for which travel and accommodation expenses of up to $2,000 USD will be covered). The event offers attendees two days of networking and showcasing, and it is held in conjunction with the Level Up KL Game Conference, the largest gaming conference in Southeast Asia. At the GTR 2018 Conference, the 20 studios/games will be assessed by GTR’s core team and participants, with input from attending professionals including the event’s speakers, and a final 10 will move forward into the accelerator program. These 10 studios will be eligible to receive $40,000 USD in direct investments, guidance and exposure after a series of due diligence processes. A few selected projects, deemed to be of considerable promise, will further benefit by receiving additional direct investments of up to $300,000 USD total from GTR. There is no set limit to the number of studios that could receive this investment, as GTR seeks projects of substantial potential, and talented teams and individuals to believe in. Initial investment and support of projects is provided in exchange for a percentage of studio equity not surpassing 5% and a small portion of the project revenue. Games to have previously benefited from GTR’s program and its support since 2015 include Relic Hunters Legend by Brazilian studio Rogue Snail, Earth Atlantis by Thailand’s Pixel Perfex, UK team Dream Harvest’s Neuroslicers, and Woodpunk by Spain’s Meteorbyte Studios. These games, and many more to have been through GTR’s accelerator program, have enjoyed several award wins and nominations, and generous media attention. For further information about Global Top Round, please visit the program’s official website. The funding will allow Alex Booth and Nick Gillett to bring their idea to market. Player Lands, which will be based in Nottingham, will allow gamers with no previous experience of e-commerce to open online stores and sell the content they create or find while playing. The system will tap into the growing global market for in-game downloads and aims to become the leading e-commerce platform of its type. After a record year for participation in their Search for a Star and Sumo Digital Rising Star Challenges, Aardvark Swift have announced the Grads in Game Awards. The awards are designed to recognise the individuals and institutions that have made a real impact in improving the links between the games industry and education; the studios that have made an effort in not just hiring graduates but developing their skills and nurturing their talent; and they will also recognise the students and projects that are already firmly on this path, producing exemplary work and helping those around them to achieve more. “We’ve been running a variety of Grads in Games initiatives for almost 10 years now. After so much support from institutions, lectures and studios; we thought it was only right to highlight the academics, universities, colleges, courses and developers that are going the extra mile, actively helping students make the leap from student to professional games developer!” Sharan Bassi, Senior Graduate Recruiter at Grads in Games. Academic Award: Lecturers & academics who have demonstrated a real, positive impact with their students. Educational Institution Award: Universities and academic institutions that have demonstrated a real, positive impact with their students. Student Award: Current students who have demonstrated a real, positive impact within their work & with their fellow students. Student Game Award: Student games projects published within the past 12 months, that demonstrate a strong talent and aptitude from its developer(s). Graduate Employer Award: Games companies that have demonstrated a positive and pro-active approach in hiring and supporting graduates & interns. Graduate Impact Award: Recent graduates and junior staff that have exceeded expectations in a studio role. Nominations have been opened on the Grads in Games Website and the winners will be announced at the Search for a Star Final’s Day in Sheffield on the 6th of April. The British Esports Association has entered into a partnership with the Enemy of Boredom Esports (EOB) Academy, a series of workshops for young people backed by the Prince’s Trust. The EOB Esports Academy offers education programmes for 14-30 year olds, which are designed to help young people and unemployed people learn new skills, access new opportunities and find work. The courses aim to build confidence and provide a qualification. They promote teamwork and communication skills through League of Legends, and also include game design, journalism, 3D printing, virtual reality and social media skills. Each workshop or course is hosted by WUWO Media, an agency which has been designing educational programmes for the creative industries since 2012. EOB Esports Academy Watford has been in operation since May 2017, while the London Academy opened in September 2017. Another academy will launch in Birmingham in 2018. Enemy of Boredom is also planning on hosting after-school clubs for younger pupils as well as holiday clubs. In addition, it’s running a one-week game design course in Peterborough in October, including Rocket League training. WUWO Media is also working on the EOB League, a grassroots esports schools league for secondary schools and 6th forms, which will start with four schools in South London taking part. The initiative aligns well with the British Esports Association – the not-for-profit national body set up to support grassroots esports – which held a series of esports clubs for children in the summer at Maida Vale Library, promoting communication, teamwork and cognitive skills. The British Esports Association will be working with WUWO Media/EOB to help shape and promote the academies and to give talks at events. In particular, the association’s projects executive Rob Allen – who has extensive League of Legends coaching experience – will be working closely with the workshops. Steven Godwin, creator of the Enemy of Boredom Esports Academy, commented: “It’s a great feeling to be teaming up with others to create a positive and strengthened future. WUWO Media’s EOB Esports Academy is delighted to be partnering with the British Esports Association. 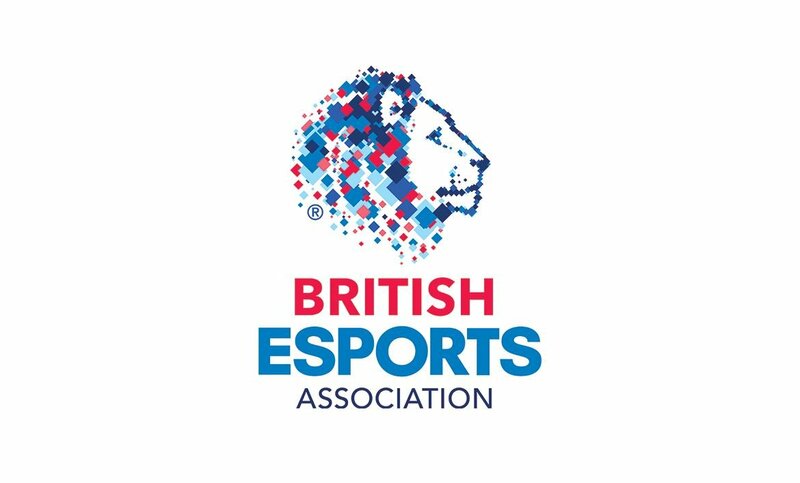 Andy Payne OBE, chair of the British Esports Association, added: “The work of Enemy of Boredom is important and aligns well with our goals at the British Esports Association – to promote, improve and inspire. The Yorkshire Games Festival returns for its second year, once again showcasing some of the greatest talent and titles from across the videogames spectrum, as well as providing gamers and budding game makers unrivalled access to the industry. The festival, organised and run by the National Science and Media Museum, offers insights into all aspects of the games industry, from studios such as the award-winning TT Games, Frontier Developments, Criterion Games and Naughty Dog, as well as hosting live shows and events such as WiFi Wars and the Let’s Play! Weekend, which features a wealth of games and activities. Yorkshire Games Festival 2107 is proud to welcome back Bradford College as its Headline Sponsor, and, for the first time, will dedicate a day to school groups as it increases its scope for inspiring people of all ages and backgrounds to engage with the many aspects of videogame design, development and coding. This year’s Yorkshire Games Festival kicks off with a day dedicated to school groups. Pupils will get access to specially created talks, workshops and activities covering all the elements that make a great game, from coding to storytelling and design. This day is for education groups only – booking details can be found at https://www.scienceandmediamuseum.org.uk/learning . Highlights for the Delegate Programme start with an insight into the UK-based studio responsible for some of the most iconic games in recent memory, as Arthur Parsons, Head of Design at TT Games, discusses his lead role on various titles within the LEGO videogame franchise, including the LEGO Marvel series, LEGO Batman series, LEGO Harry Potter series and many other familiar titles. Arthur will also delve into the making of his current game, LEGO® Marvel Super Heroes 2, an all-new, original adventure scheduled to launch in the UK on November 17. 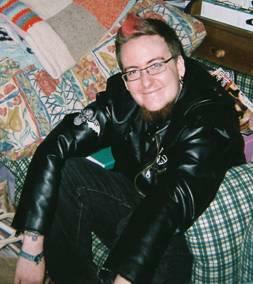 Tracy Spaight has worked in the industry since 2005 under many guises from project specialist to game developer. He now acts as Director of Special Projects at Wargaming.net, the developers and publishers of the World of Tanks online game, and will be talking about bringing history alive through gaming, AR and VR and the World of Tanks phenomenon. Frontier Developments’ Louise McLennan and Sebastian Hickey will be revealing all about the development of BAFTA nominated Elite Dangerous – the latest (and some say, greatest) version of the legendary space combat and trading game from UK games luminary David Braben OBE. Louise started her career at Disney Interactive and is now the lead UI designer on Jurassic World Evolution. Sebastian, an alumni of the University of Bradford, is the lead UI designer on Elite Dangerous. YGF 2017 is a homecoming for Iki Ikram, the award-winning VFX Artist, as he started his career more than 25 years ago while studying Graphic Design at Bradford College. Iki will be giving the festival’s keynote presentation on his work as an FX Artist at Naughty Dog and how visual effects were used to build an impactful narrative in games such as Uncharted 3, Uncharted 4 and The Last of Us, as well as other work on titles such as the PlayStation’s EyeToy, Singstar, The Getaway, and the Killzone series. This session is presented by Bradford College. Legendary composer and musician David Wise has been producing game soundtracks since 1987, including many of UK developer Rare’s classics such as Battletoads, Donkey Kong Country and Diddy Kong Racing. More recently, Wise has composed music for Sheffield developer Sumo Digital’s Snake Pass and for Playtonic Games’ smash hit platformer Yooka-Laylee. He will be discussing some of his most famous works and giving advice to any musicians interested in making soundtracks for videogames. Kieran Crimmins and James Svensson from Criterion Games will host a session on their development work as Art Director and Producer respectively for Electronic Arts’ Star Wars Battlefront VR Mission. They’ll be discussing how they recreated the Star Wars universe in virtual reality, along with a few of their trade secrets, including how to hide a Star Destroyer! Other guests include Phil Duncan and Oli De-Vine, aka indie development team Ghost Town Games, whose debut game Overcooked was made from their lounge and recently took home the BAFTA for Best Family Game and Best British Game. This year introduces the festival’s Let’s Play! weekend, with a host of activities designed for families and gamers of all ages. The two-day event includes the Yorkshire Games Showcase, as the regional games industry descends on the National Science and Media Museum, bringing the best in new, upcoming and under-the-radar titles. As part of the showcase, Creative England’s GamesLab Leeds programme will be offering advice and demonstrating some of the projects they have funded across the Leeds City Region. Elsewhere Videogames, But… shows the diversity of the medium with small, experimental and unusual, yet beautifully formed games. The Museum also welcomes back the Impact Gamers LiVE! show to the Museum’s Pictureville Cinema (Saturday only – tickets £2/£3), which takes audience participation to a new level, inspiring children to get involved in games and coding. The Impact Gamers team will also be bringing along their homemade arcade games – all created by young people from Bradford (free to play). The Yorkshire Games Festival is produced by the National Science and Media Museum in partnership with the games business network Game Republic.